THANK YOU for taking time to visit my site and see my passion for the Great Outdoors! I have spent the past 40 years working as a photographer, writer, graphic designer, illustrator, painter and even a musician. The works you see on this site are what my creative life is about. Gregory has been a professional photographer since 1983. His career started as a portrait, wedding, and commercial photographer in Sandusky, Ohio. His images received awards from the Professional Photographers of America, the Professional Photographers of Ohio and the Society of Northern Ohio Professional Photographers. In 2001 he moved to northern Colorado and changed his focus to wildlife and nature photography. 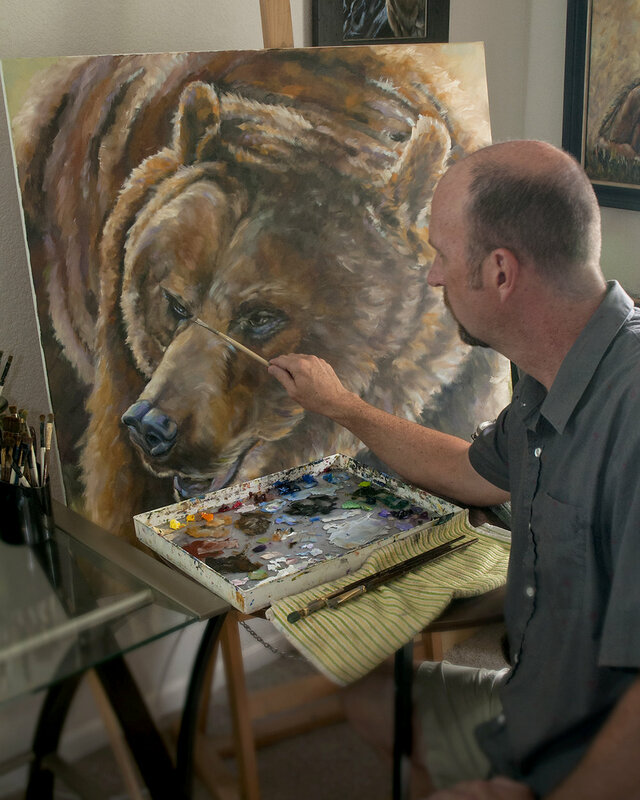 He has has received awards from BBC Wildlife magazine, as well as national juried fine art competitions. His images have also been used commercially for billboards, magazines, calendars, corporate reports and greeting cards. Before his photography career began he was a painter/illustrator. While focusing on a photography career and not painting for nearly 28 years, he once again picked up the brushes. After entering his first regional fine art competition, he received an Honorable Mention and The People's Choice Award. His paintings have been in several shows in the Rocky Mountain region, including the Western Spirit Show and other juried national art shows. Gregory has also served as a juror for art & photography in fine art shows. He is also available for commissions.